President Donald Trump touted the “single largest decline” in drug prices in 46 years during his State of the Union speech Tuesday night. The index for hospital services rose 3.7 percent, while the physicians’ services index increased 0.6 percent. The index for prescription drugs, however, fell 0.6 percent in 2018. “The decline is the first time in 46 years in the December-to-December time frame, but there have been other 12-month periods with index declines, mostly recently in 2013,” fact-checker Glenn Kessler wrote. The Trump administration first floated an international pricing index that would base Medicare drug payments on cheaper foreign prices in October 2018. While we share with the President’s concern with the issues surrounding the rise of prescription drug prices, the focus on prices found in foreign countries is misleading. These prices are achieved through coercive means and stifle innovation. America remains the leading engine for pharmaceutical investment and innovation and this cannot be sacrificed as part of healthcare reform. The President and Congress should focus their efforts on continuing to reduce regulations on pharmaceutical companies and encourage competition in a free American marketplace. 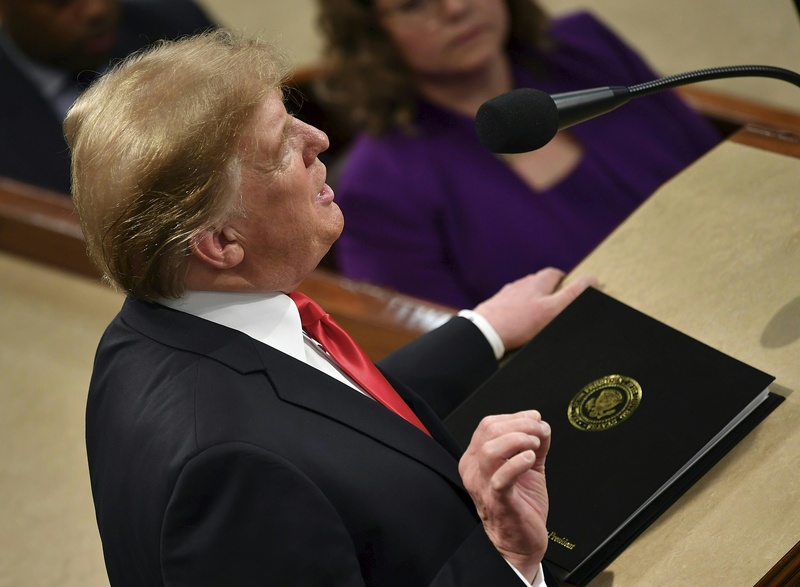 Trump also unveiled his administration’s plan “to defeat AIDS in America and beyond” during his State of the Union speech Tuesday. The high cost of prescription drugs was an issue Trump brought up frequently in 2018. Trump signed a law that ends insurance companies’ pharmacist gag clauses in an effort to lower drug prices in October 2018. Insurers and pharmacy benefit managers use the gag clauses to “forbid pharmacists from proactively telling consumers if their prescription would cost less if they paid for it out-of-pocket rather than using their insurance plan,” according to a press release from Republican Maine Sen. Susan Collins, the bill’s sponsor. Even Independent Vermont Sen. Bernie Sanders recognized he and Trump had similar interests in lowering drug prices. Sanders called on Trump to support his new drug cost legislation Jan. 10. Sanders’s legislation has three main goals: encourage generic competition with “excessively priced” brand-name drugs, let Medicare negotiate directly with drug manufacturers and allow Americans to import less expensive drugs from Canada, reported The Associated Press.